A £75 security bond is required at time of booking to secure dates. This shall be refunded back to you via bank transfer ONLY if the following is strictly adhered to at all times (before, during and after the stay where appropriate). Respect other caravan guests, I.e do not disturb others in surrounding caravans. Smoke inside the caravan AT ANY TIME. Bring a pet without prior consent before arrival. 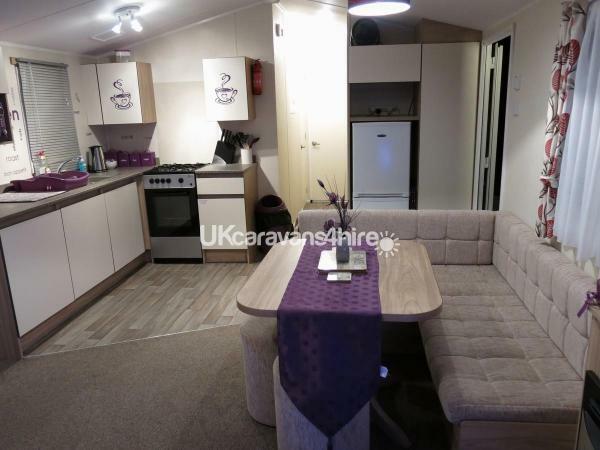 Check- out the caravan without notice to Anne (care taker or the owners). The £75 security bond is none refundable should you the hirer choose to cancel the booking at any point. FINAL HIRE BALANCE IS DUE 14 DAYS BEFORE ARRIVAL DATE OR WE RESERVE THE RIGHT TO ARRANGE A NEW BOOKING (Unless specific agreements have been made with regards to the final payment deadline). 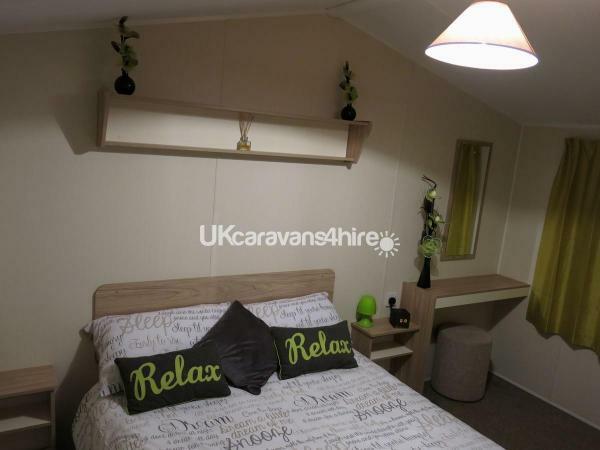 Should guests NOT adhere to the above rules whilst on site occupying our caravan, we will reserve the right to ask guests to leave with immediate effect and no refunds given. Please ensure payment is made along with your booking. Owners MUST show proof of recent deflea/deworming to safeguard all future guests. We provide as standard; quilts and pillows. We can however provide all washed and ironed bedding for all beds for the total cost of £15 should guests not want to bring their own. Cash may be accepted in some circumstances and sometimes on arrival however there will be an added charge for this. If you cancel your booking at any point, the £75 deposit will not be refunded. Please state the exact date and number of nights you would like to stay. Number of guests under 25? Pets welcome for £25 however MUST show some kind of proof to show up to date vaccinations, flea and worm treatment. This is to safeguard the health and well-being of all our future guests. 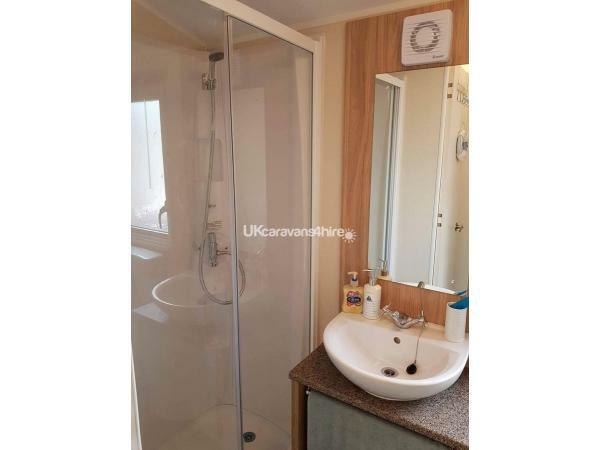 PLEASE NOTE WE WILL ALWAYS ENSURE A DEEP CLEAN OF THE ENTIRE CARAVAN AFTER A PET HAS STAYED TO MAINTAIN OUR HIGH STANDARDS OF CLEANLINESS. 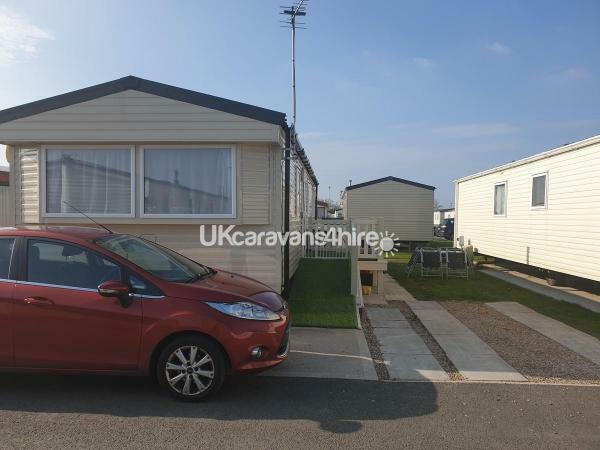 Grassed area with patio set & a flagged area for a large car, also space for a car at the very front of the van, but please ensure others can pass. Some welcome items such as drink condiments, biscuits and toilet roll available on arrival *when available. 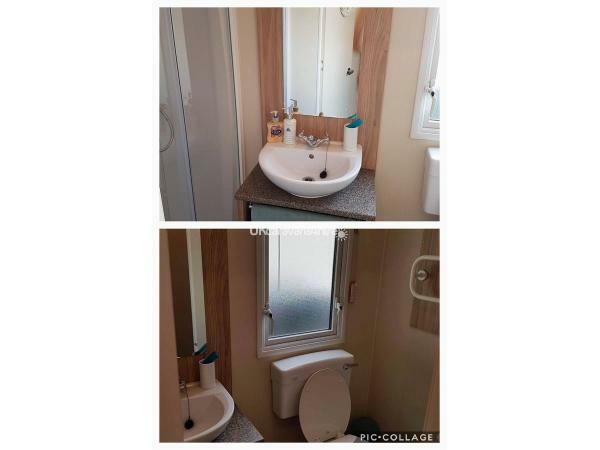 Double glazed, gas fire in lounge and wall heaters in both bedrooms. 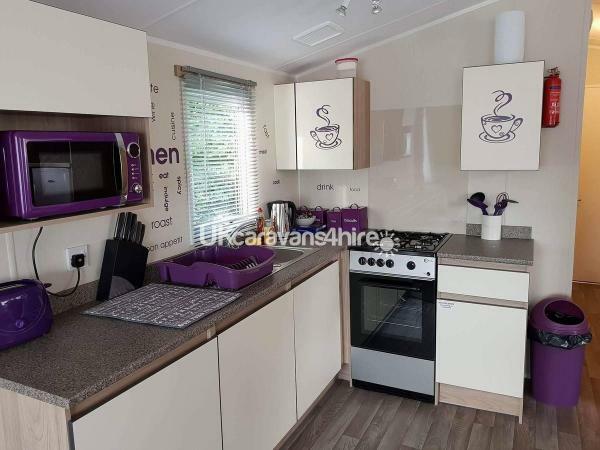 WINKUPS HOLIDAY PARK HAS RECENTLY UNDERTAKEN A LOVELY REFURB WITHIN THE ENTERTAINMENT LOUNGE AND PLANS FOR FUTURE MODERNISATION FOR THE SITE ARE IN PLACE. Situated in front of the beach and facing a large fairground and outdoor market* closed in low season winter months. Bus stops on the main road by the site, you can access Rhyl town centre within a 5-10 minute drive down the one main road, it is very easy to find things in the local area. 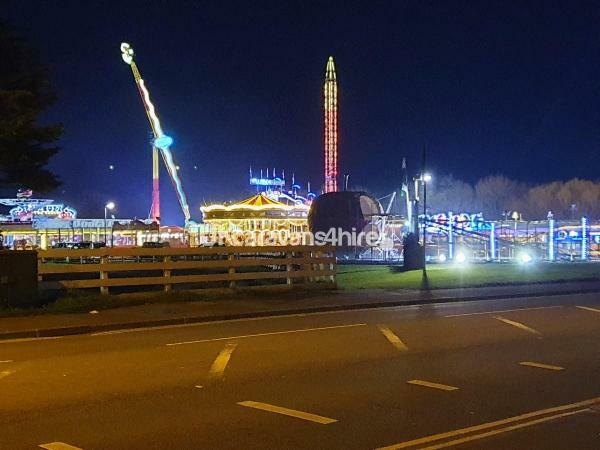 There are also various pubs, arcades and gift shops along the main road all within a 5 - 10 minute walk of Lyons Winkups Holiday Park. Asda is also only 5 minutes down the main road, walking time about 20- minutes. CRABBING - at Marine Lake, again, only a 5-10 minute drive down the same main road. During peak times, check in is usually from 2/3pm onwards and check out at 10am however during quieter times we can extend these where possible. We will have our caravan keeper check you in and show you around. Just returned from a 4 day break at kimberleys caravan, had a great time,caravan is spotless and has all u need, kimberley is always there if u need to contact her and Anne was great too, took me in to Rhyl to buy a new baby gate as we took our little dog with us and we don't drive, would recomend this caravan to family and friends, thanks kimberley for a lovely well deserved break and to top it off the weather was fantastic. We have just returned from Kim’s caravan from a 4 day stay, I arrived with my partner and my 2 sisters aged 7 and 12. 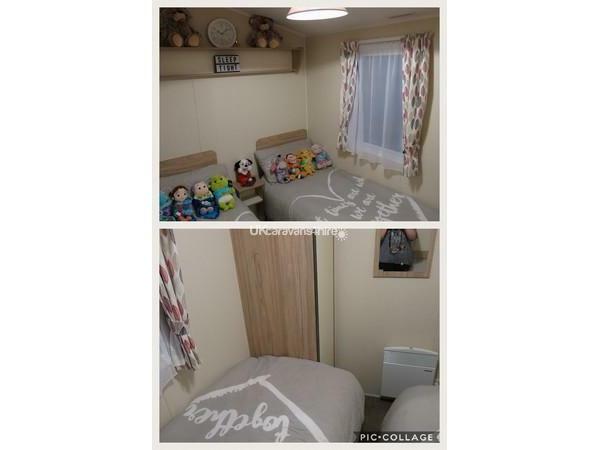 Kim’s caravan was very accommodating for the children with brilliant movies streamed into the TV and plenty of fun board games so they were never bored. 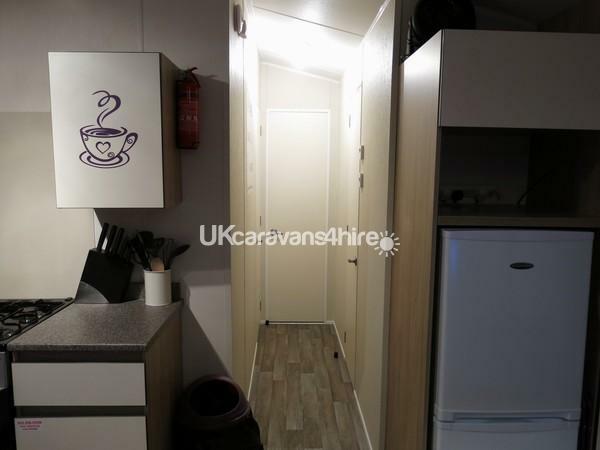 The caravan is located in the middle of everything and is very handy, the caravan contains everything we could have possibly needed from tea and coffee to cutlery and clean bedding. We also got given a box of biscuits which was a lovely touch. The caravan was spotless and is decorated lovely it is certainly homily like here and we will be returning. Thank you Kim! When we arrived we was greeted by Anne a lovely lady who showed us round & told us the best places to go and a lovely welcome pack was waiting for us .The Caravan is emaculate Beds & Bathroom spotless situated in the best place amenities right on your door step with fair & Large market across road excellent location. It's a real home from home we will definitely be retuning. My mum didn't want to go home haha the owneres are amazing people you feel like youve known them all your life really felt at home Kimberley Thank you so much ???? We were met by Kim’s uncle who was very polite, showed us around and checked us in. 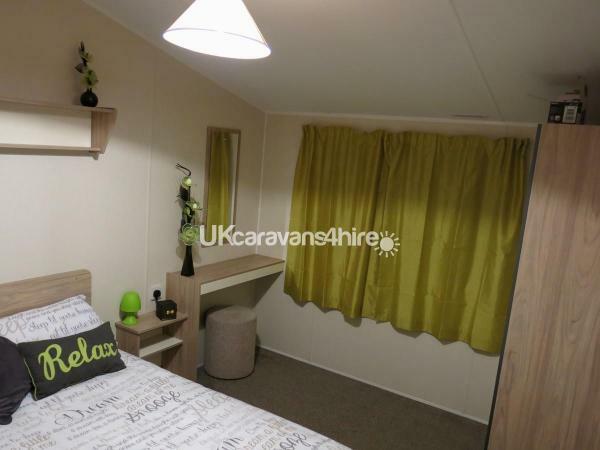 The caravan was clean, looked really nice with the colour scheme & very spacious. 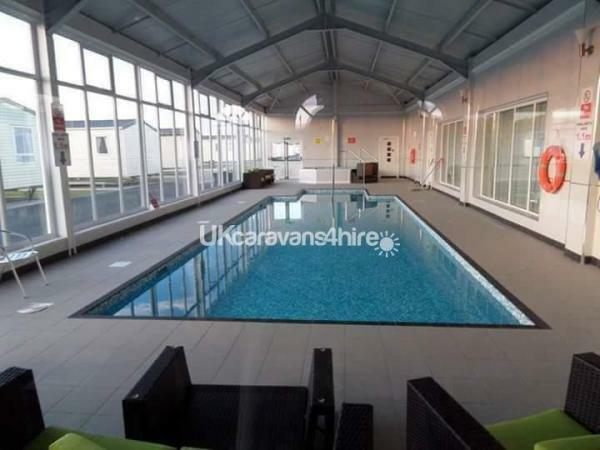 Great location with everything quite literally within walking distance (pubs arcades local shop fair) would definitely recommend staying in Kim & her partners caravan.